Brent Biskup is the Director of Bands at Flower Mound High School. During his tenure, the bands at Flower Mound have received local, national, and international acknowledgements in both marching and concert band. The Flower Mound High School Marching Band has been named a finalist and regional champion in the Bands of America Texas regional and super regional competitions. Flower Mound has also been named a finalist multiple times at the Bands of America Grand National Championships in Indianapolis, IN. The marching band has been a UIL Texas State Marching Band Contest finalist, and was named the 2016 Class 6A State Champion. Most recently the Flower Mound Wind Symphony placed 2nd in the Texas State Honor Band Competition. This marks the 6th consecutive year that the Wind Symphony has placed in the top 4. In the spring of 2015, the Flower Mound Wind Symphony was invited to perform at the 69th Annual Midwest International Band and Orchestra Clinic. Brent lives in Flower Mound with his wife Amelie and 3 sons, Beau, Myles, and Quinn. Amelie is a practicing chiropractor in Flower Mound. They both spend most of their free time chasing the 3 boys. Jana Harvey was named Associate Director of Bands at Flower Mound High School in June of 2012. Prior to her appointment at Flower Mound, Ms. Harvey served as the Associate Director of Bands at Plano East Senior High in Plano, TX. Bands under the direction of Ms. Harvey have received consistent Sweepstakes Awards in University Interscholastic League competition for Marching, Concert Performance, and Sight Reading. In 2004, Ms. Harvey was named as Clark High School's "Teacher of the Year" and honored by the PTA with the life membership award. In 2005, Ms. Harvey was selected for induction into the American School Band Directors Association, which honors outstanding band directors in the United States. Her professional affiliations include the Texas Music Educators Association, Texas Bandmasters Association, Texas Music Adjudicators Association, Tau Beta Sigma and Phi Beta Mu International Band Fraternity. Ms. Harvey maintains an active schedule as a clinician and adjudicator. She holds the Bachelor of Music Education degree from Texas Tech University. Kyle Ayoub has been at Flower Mound High School since June of 2017, he comes to Flower Mound from Creek Valley Middle School. 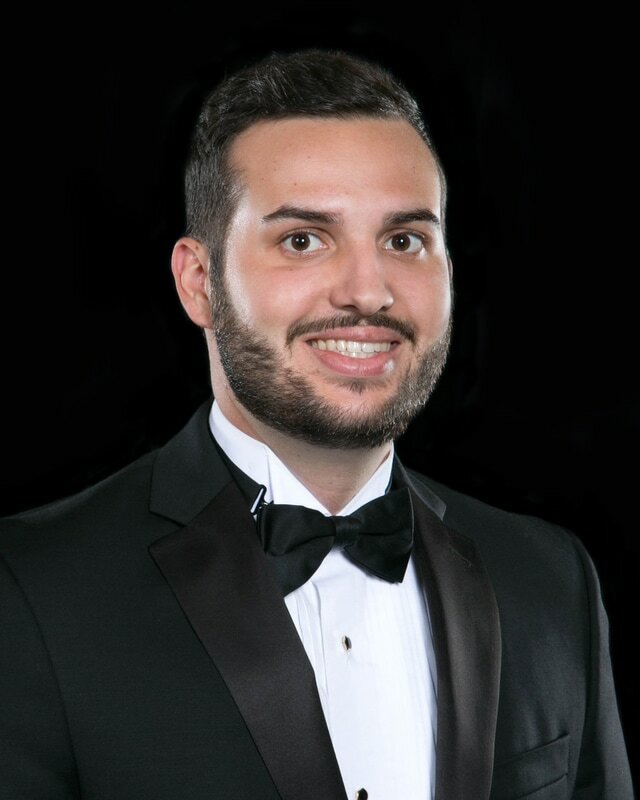 A native of Austin, Mr. Ayoub was attracted to the DFW area because of the high quality of band programs and to attend the University of North Texas. While in school he was a marching tech with the Flower Mound Band for two seasons and student taught at Hebron High School. He spent two summers performing with the Blue Devils Drum & Bugle Corps and has performed and taught in Europe with the Blue Devils International Corps. ​His professional affiliations include the Texas Music Educators Association, Texas Bandmasters Association, and Phi Mu Alpha Sinfonia. As a first year teacher, Mr. Ayoub was named "New Teacher of the Year" at Creek Valley Middle School. He lives in Flower Mound with his wife, Sarah, and their two rescue dogs, Kona and Moka. Sarah is a band director at Arbor Creek Middle School, also in Lewisville ISD. 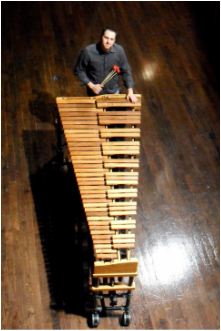 Darrin D. Hicks is an active Teacher, Arranger, Clinician, and Performer in the Dallas/Fort Worth Metroplex and is currently an Associate Band Director and Director of Percussion in the Flower Mound High School Band Cluster in Flower Mound, TX. Prior to joining the band staff at Flower Mound, Mr. Hicks was an Assistant Band Director at Lake Highlands High School. Mr. Hicks’ performance career began in Drum Corps International, where he marched snare drum with the Crossmen during the summers of 2002 and 2003, and later with the Phantom Regiment in 2004 and 2005. Mr. Hicks graduated from Texas Christian University in 2007 with a bachelors degree in Music Education and was the 2006 winner of the TCU Concerto Competition. Mr. Hicks has served on staff with the TCU Drumline, the Pioneer Drum and Bugle Corps, and WGI Independent World Finalist Surround Sound Percussion. William Martin is originally from Waterloo, Iowa. He recently moved to the Dallas, TX area. He has been teaching, choreographing, and consulting for Color Guards for over a decade now. Prior to moving to Dallas Martin spent 8 years in Houston, Texas where he served as the Color Guard Director at Andy Dekaney High School (2014-2016), and the Color Guard Director at The Woodlands High School (2008-2014). Prior to moving to Texas Martin spent several years in Dayton, OH while studying Acting; Musical Theatre at Wright State University. While in Ohio he taught Color Guards in both the Cincinnati and Dayton, OH areas, which were consistent WGI Regional finalists, WGI Regional Champions, Tri-State Circuit Champions and MEPA Circuit Champions. As a performer he has performed throughout the United States, Japan, and Europe. He marched drum corps for 5 seasons (2004-2008; 2004 World Champions & DCI Best Color Guard, 2006 World Champions; 2007 DCI Best Color Guard) with the Cavaliers where he served as the Guard Captain his last year. He also marched with The Pride of Cincinnati Winterguard (2007; 2007 WGI World Champions) as well as a cameo performance with Cypress Independent Winterguard (2012). As an educator Martin has worked as a clinician, consultant, choreographer, and/or technician with The Troopers Drum and Bugle Corps, The Blue Knights Drum and Bugle corps, The Phantom Regiment drum and bugle corps, The Madison Scouts Drum and Bugle Corps, Cypress Independent World Winter Guard, the University of Houston Winter Guard, the U.S. Army All-American Marching Band, as well as a host of High School and Jr. High School programs that have competed locally and on a national level. Outside of teaching Color Guard he enjoys performing in and choreographing local theatre productions, traveling, and spending time with his dog “Peanut”! The students at Flower Mound High School are extremely fortunate to receive exemplary instruction while in middle school. The successes at FMHS are a direct result of the dedication of the many teachers that started these students on their musical journey.